Dr. McCarthy, MD, is a board certified orthopedic surgeon with a fellowship in Hand and Upper Extremity and a certificate of added qualification (CAQ) in Hand, Wrist and Elbow Surgery. She specializes in surgery of the hand and upper extremity, with procedures including tendon and nerve repairs, basal thumb joint replacement and rheumatoid hand reconstructions. She also treats fractures, nerve and tendon conditions, and arthritis of the wrist and fingers. Dr. McCarthy has been performing the endoscopic carpal tunnel release (ECTR) since its inception in the early 1990s and was part of the development team that brought the procedure to the Twin Cities. She has continued to play a key role in educating other physicians on the procedure. The ECTR is the most common surgery she performs, with more than three thousand procedures completed. Until a few years ago, the options for treating Dupuytren’s contractures of the hand were limited. However, the development of Xiaflex®, an enzymatic injection, means that the condition can be treated nonsurgically. Dr. McCarthy is a preferred provider and a “Super User” for Xiaflex® injections. 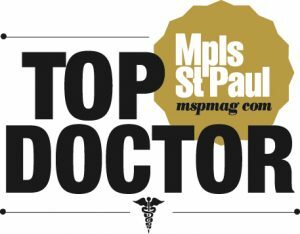 Dr. McCarthy has been selected as a Top Doctor in Mpls.St.Paul Magazine by her peers for the past 10 years in a row. She was also named one of Minnesota Monthly Magazine’s Best Doctors for Women in 2008 and 2010. Her goal is to listen carefully to each patient’s concerns and develop a plan with the patient to resume the activities that he or she finds most meaningful. In addition to other professional affiliations, Dr. McCarthy is a member of the American Society for Surgery of the Hand. She has been practicing in the Twin Cities since 1996. I have been coming to TCO for my care and surgeries since 2001 and in addition, my ex-husband came here for 12 surgeries with various doctors. Dealing with different doctors and their respective care teams has made me appreciate Dr. McCarthy and her care team. Claire, her PA, Bonnie and Sue (hand therapists) and her care coordinator Susan are all fabulous! Susan is by far the best care coordinator I have worked with. Even though there are clinics closer to me, I chose to come to the TCO Edina clinic because of Dr. McCarthy and her team. I have referred many of my fellow colleagues and friends to Dr. McCarthy. I have even referred a stranger to her! If Dr. McCarthy is ever running behind, I tell people – wait, she is worth it! I am very, very happy with the care I have received here at TCO. I want to thank Dr. McCarthy and TCO for the great care they have given me. I had an amazing experience at TCO! Dr. McCarthy went above and beyond by operating intricately around my tattoo with precision and perfection leading to a fantastic result! Thanks TCO and Dr. McCarthy for everything! I will always refer others here! Due to a childhood disease (polio) I had developed 2 fingers where the middle joints would no longer bend, causing a loss of grip. Dr. McCarthy said she could help by fusing these joints in a bent position, so surgery was scheduled and performed. I would like to express my sincere appreciation to Dr. McCarthy and the entire staff at TCO, including Sue Anderson in therapy. The entire process was exceptional in every way and the folks involved couldn’t have been more accommodating. Great job guys! I have had four (4) surgeries with Dr. McCarthy. My experiences have all been good at TCO. Because of the number of surgeries done by Dr. McCarthy, I am now President of her fan club. She is the consummate professional and takes an interest in her patients. I am truly blessed to have her as one of my physicians.